Ongoing classes will be offered weekly on Wednesday evenings from 6pm-7pm and 7pm-8pm! . Attend 4 classes for only $195! Special coupon will be emailed out in this months newsletter! 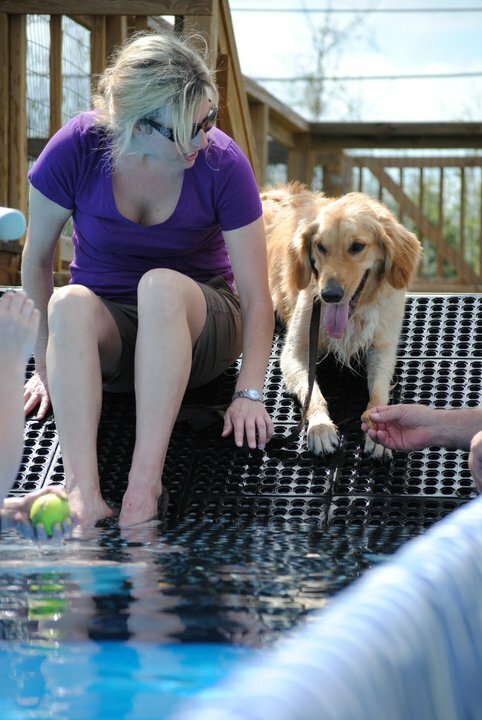 Aqua dogs is intended to help introduce dogs to the swimming pool and eventually build their confidence to dive off the dock. Each dog will progress at their own level. Some dogs become great confident swimmers and have a blast making laps in the pool, while others are ready to dock dive after the first class. For dock divers, Meadowlake trainers will help improve handlers form and technique by focusing on speed and direction of the throw! This class is a great way to have fun with your dog and skill build at the same time!